Welcome to Laser for less! Providing full Laser hair removal services is all we do, so you'll get laser focused experts to get you the best results, effectively! And deliver a completely hassle-free and enjoyable experience, every time! That’s why 90% of our clients are from referrals and come from all over Toronto, Vaughn, Markham and even Richmond hill to our Thornhill location to get the best laser hair removal services in town. Can laser every part of the body, all hair and skin types and even tanned skins or sun exposure before/after treatment! Fastest to apply and least amount of patchiness thanks to their consistent wave delivery. So, stop wasting your money and time on shaving all the time. You can finally be hair-free with a hair laser removal service that’s pain-free, much faster and for less! What is the difference between laser hair removal and electrolysis? While Electrolysis could be used for unwanted hair removal, it is far more painful and slower in session time and achieving results as electrical current is used to zap one hair follicle at a time. 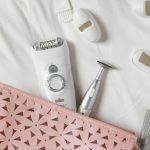 Laser hair removal technology, on the other hand, can work on much larger areas and used laser beams that don’t zap, but rather heat up the hair follicle from within. Laser hair removal technology has advanced greatly over the years where the best machine-like Soprano Ice can remove hair at half the sessions, with much faster session time, work on any skin or hair type, be sun exposure safe and do it all painlessly! Are laser hair removal services completely permanent? While there might be minor regrowth over the years in some cases; Hair Laser Removal done right is permanent. quick one session touch-ups can easily take care of the minor regrowth that might happen over the years. Are both women and men good candidates for laser hair removal? 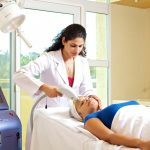 How many laser treatments will I need to see results? Since hairs grow in a cycle, some hairs might be in resting faze during a session, which is why more than one session is usually required. The older generation of hair removal laser machines is also not as effective, so clients typically need between 7-12 sessions to get a complete result. At Laser for less, we use the world’s best hair removal laser machines (2018 Soprano Ice) which can achieve the final results in 4-6 sessions, which is half the number of sessions! (check out results here). This saves you a lot of money and time as you’d do half the sessions. Sessions are much shorter with our lasers and virtually painless! While tolerable in most cases, mainstream older generation lasers offered in most laser hair removal clinics do create pain and irritation/ redness after application that can create bumpy skin. EMLA anesthetic cream is usually used to subside the pain that usually feels like a rubber band snapping against the skin. At Laser for Less; we use Soprano ice machines, which have the best pain rating than any other machine in the world, making the procedure virtually painless. 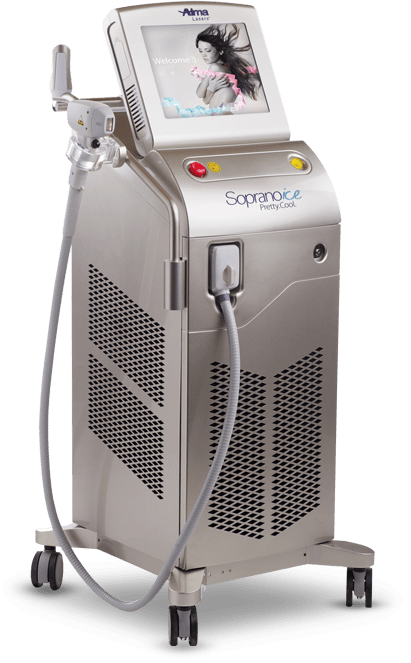 Many of our clients that have used other laser before are blown away with the comfort level and how a usually 45-minute session with other machines takes 10 minutes with Soprano Ice. If the procedure is not done with a laser hair removal expert (typically seen at clinics that do everything) and the wrong setting is used for a skin or hair type, some side effects can occur. These side effects usually include redness, itchiness, some tingling and swelling in most cases and rarely result in bruising, pigmentation and scabbing of the skin. Laser hair removal services are all we do at laser for less, so you will always get an expert to do your session. furthermore, the Soprano Ice lasers we use have the best-proven safety record in the industry. They use a lower dosage of broader laser waves instead of higher intensity of fewer waves used in other machines, so they are much safer and minimize any chances of side effects, especially when applied by expert technicians. Women typically use laser hair removal for facial hair (chin, upper lip), Brazilian/bikini area, underarms, and legs. Men usually use laser hair removal to completely remove hair on the full body, back and neck area while they use lower dosage to thin out their chest hair. Is there any downtime to laser hair removal services? No. Laser hair removal is non-invasive with zero recovery time. Thanks to the latest technology used in Soprano Ice; the treatment also takes much less time. Many of our clients use their lunch hour breaks to do their sessions as it is a non-invasive treatment. There is no recovery time, and patients can return to work or play immediately. Preparation is dependent on the clinic and laser that they use. Older lasers are not safe for all skin types, tanned skins or sun exposure before or after the treatment. That is why it’s important to seek advice from a trusted source like a certified hair laser removal esthetician or licensed dermatologist to see what would work best for you. At Laser for Less, all our technicians are fully certified, and our laser hair removal machines work on any hair or skin color, even tanned skins and are sun exposure safe, so you don’t have to worry about a thing. The only thing required is to shave the area for treatment the same day of the treatment. While this can be done at our clinic for you (for an additional $30), we do recommend you do it in the morning of, so the skin is less irritated for the session. While the cost of laser hair removal survives based on the clinic, city and machines used. A typical small area laser hair removal session done by an older generation laser machines in Toronto is about $60 to $100. Similar service done with a top of the line machines in Toronto is about $90 to $180 for one session. Unfortunately, the prices can greatly vary as most clinics do not post their prices and quote clinics on a case by case and based on haggling off a high suggested retail price. We aren’t called Laser for Less for no reason. We don’t like to put our clients through a haggling process and don’t believe that what clients pay should depend on their negotiation skills. That’s why we’ve made the entire process hassle-free by having our best possible laser hair removal prices on our website. So, you can compare us against anyone in Toronto, Vaughan, Richmond Hill, and Markham. When Comparing: do remember that we only use Soprano Ice, world’s best hair laser removal machines that provide results at half the number of sessions, are virtually painless and your treatment is only done by experts! Pain-Free, Hair-Free laser system that you will love! Laser hair removal services is all we do, and only use world’s most advanced machines while providing up-front prices that beat anyone around Toronto, so you can get the best hair removal Laser for Less. Set That Razor Aside: How Long Does Laser Hair Removal Last? © 2019 All Rights Reserved | Website designed & maintained by BrandLume Inc.